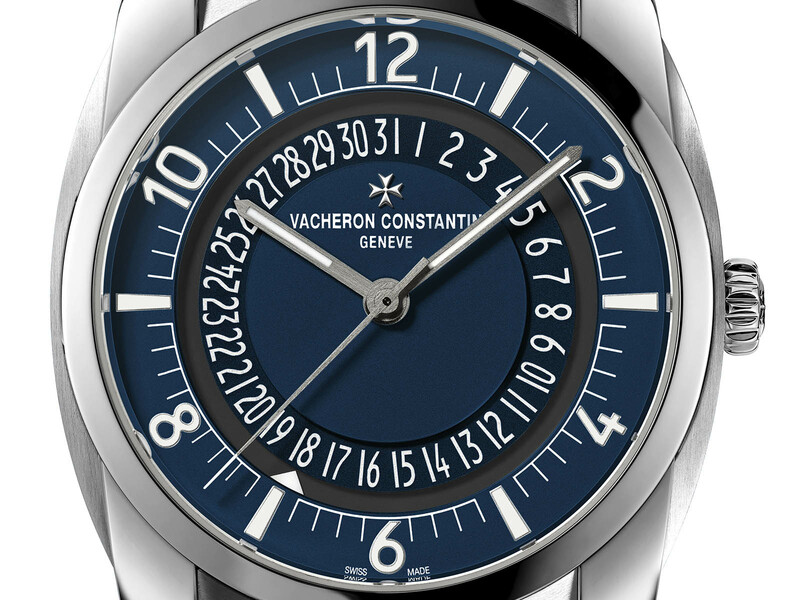 Vacheron Constantin added a new model to its entry level product group Quai de I'Ile Collection with a blue dial. Vacheron Constantin showed up for the first time in 2016 with the collection of Quai de l'Ile. A brand new model with a blue dial was added to the collection bearing the title of the most affordable product line of the brand. The case measuring 41mm x 11.7mm is made of stainless steel material. Sporting sapphire crystals on both sides, the case is water resistant to 30 meters. The dial is designed as three separate sections. A different blue tone is preferred to make the date indicator placed in a circular pattern better readable. SuperLuminova filled hands are made of white gold. The new model is powered with the Caliber Ref.5100 which we are familiar from the Overseas Collection, However, the version used in the new model is slightly de-tuned cosmetically in order to achieve the relatively affordable sales price. Still Hallmark of Geneva signed, the movement features a brass plated oscillating rotor instead of the 22K solid gold one found in the Overseas Collection models. The model comes on a blue alligator strap and a stainless steel clasp. There is also a blue rubber strap in the presentation box. 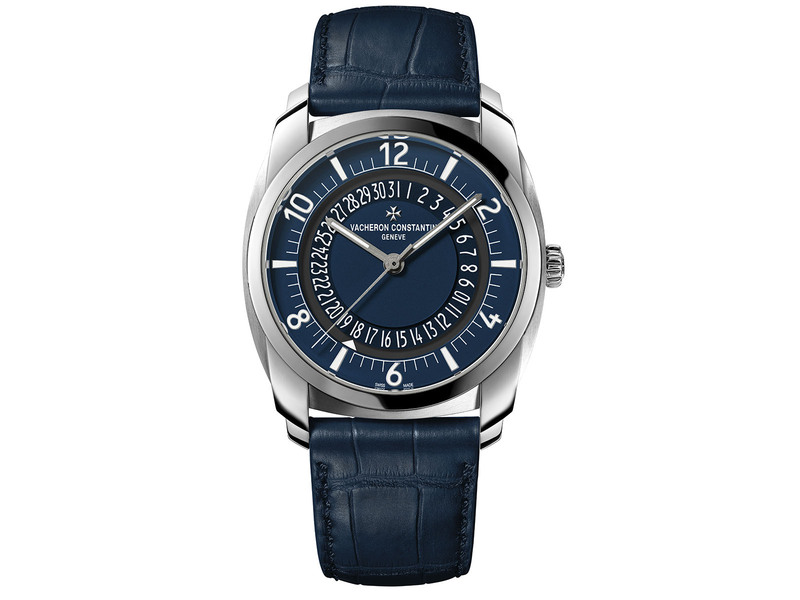 The Quai de l’Ile with blue dial (Ref. 4500S/000A-B364) will reache the boutqiues in the third quarter of 2017 with the same price as the earlier versions - US$14,900 (USA list).